Unicef has helped save more children’s lives than any other humanitarian organization. 90% of every dollar spent goes directly to help children doing whatever it takes to save and protect the world’s most vulnerable children. Food For The Poor is one of the largest international relief and development organization in the nation. More than 95 percent of all donations go directly toward programs that help those in need. World Vision a humanitarian organization dedicated to working with children, families, and their communities worldwide. Has staged five semi truckloads of relief supplies to be ready for a rapid response, says Nate Youngblood, domestic disaster response director. They include hygiene kits, food kits, cleaning supplies for “mucking out” after flooding, and children’s toys and backpacks. World vision We have launched an emergency response in Haiti, providing clean water, blankets, hygiene kits, and other essentials to families in the hardest-hit areas.World Vision’s assessment team and partners in the hardest-hit area of Haiti’s southwest peninsula are seeing 80 percent to 90 percent of homes damaged or destroyed. On the island of La Gonâve, where World Vision assists 10,000 sponsored children and their families. Initial plans include distributing supplies for about 50,000 families. 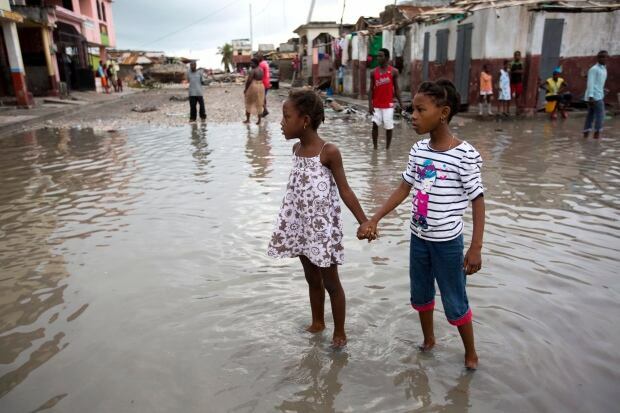 Save the Children has been working in Haiti for more than 30 years, and is deploying an emergency response team to work with staff and partners on the ground to help the children and families affected by the storm. The organization pre-positioned a stockpile of non-food items, including hygiene kits, baby items, household kits, mosquito nets and jerry cans, which will be used in coming days. The American Red Cross, through its strong network of volunteers, donors and partners, is always there in times of need. Prevents and alleviates human suffering in the face of emergencies by mobilizing the power of volunteers and the generosity of donors.​ An average of 91 cents of every dollar the American Red Cross spends is invested in humanitarian services and programs. CARE is a global leader within a worldwide movement dedicated to ending poverty. We are known everywhere for our unshakeable commitment to the dignity of people. CARE is responding to this devastating storm with clean drinking water, food assistance and emergency supplies such as tarps for shelter, blankets and hygiene kits. CARE is currently providing meals to hundreds of people in evacuation shelters. WFP is among the first on the ground when disasters strike. Distributing food including High-Energy Biscuits and family packs of rice and canned goods. Coordinating logistics and emergency telecommunications efforts on behalf of the humanitarian community.Transporting infrastructure, including prefabricated offices, mobile storage units, generators and radio equipment, all of which are vital to coordinate response efforts. Americares initial emergency shipment was among the first aid to arrive in Les Cayes, following a perilous journey through washed out bridges, landslides and other obstacles. In the coming days Americares plans to deliver approximately $1.6 million in aid for Hurricane Matthew survivors in Haiti.